Porto Vecchio is located in South East Corsica and is the third largest town on the island. As well as the port, Porto Vecchio is a tourist destination in its own right with tourists being attracted to the area's beautiful beaches. In fact, in the summer months the population of the town increases four-fold. You can compare and find the cheapest ferry crossings available from Porto Vecchio with our easy to use booking form. La Meridionale and SNCM ferries operate out of Porto Vecchio to Civitavecchia and Marseille. SNCM ferries are a major operator in the Mediterranean connecting Italy, Greece and Croatia. From Porto Vecchio you can take SNCM ferries to Civitavecchia near Rome and to Marseille in Southern France. All SNCM ferries provide a wide range of onboard facilities including restaurants and free shopping. Some ships also provide a games room, a swimming pool, a jacuzzi and a disco. 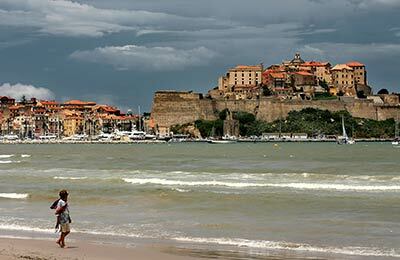 So, book your ferry from this beautiful Corsican townto the Italian mainland simply and securely with AFerry. Porto Vecchio is a gorgeous town on the southern coast of Corsica, set against a background of stunning mountains. 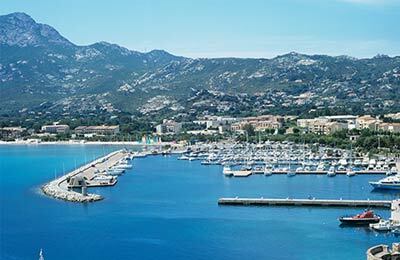 From Porto Vecchio it is possible to get a ferry to Marseille and Toulon in the south of France. All ferries from Porto Vecchio can be booked through AFerry. Porto Vecchio has a full range of facilities and services. The N198 or N196 are the best routes to take to get to Porto Vecchio. Please note that during summer it can sometimes take 2 hours or more to navigate through the traffic jams: make sure to allow plenty of time for this when you are arriving to catch your ferry.